Looking to head out to one of the famous SXS present events in tampa florida ? 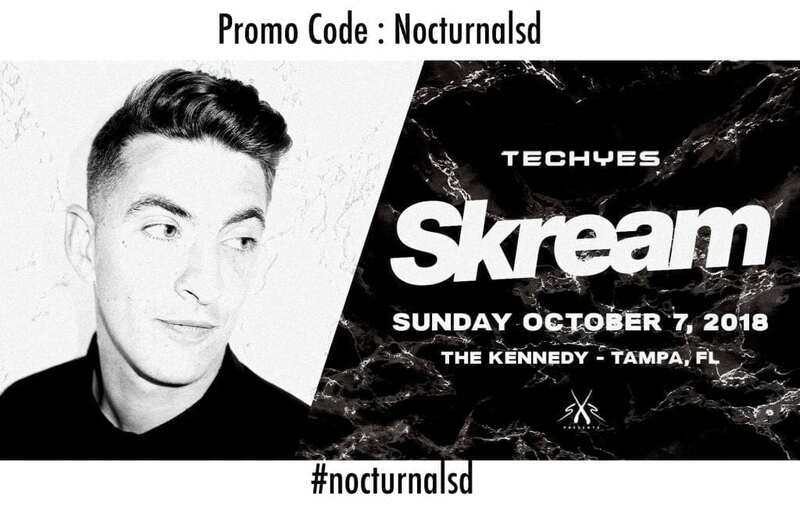 Don’t miss out on the TECHYES Skream sxs Kennedy Promo Code “Nocturnalsd” Tampa florida event coming in October 2018 . Purchase your discount tickets on sale now . There will be no free guest list or no cover admissions so don’t wait. This event will be 18 and up so if you are under age and looking for events and things to do in tampa florida this event is for you . The TECHYES ft. Skream event at the tampa kennedy will feature the following head liner. Check out his sound clubs at the link provided below. Don’t miss out on this under age event . Discount Promo Codes for the The Kennedy Tampa.